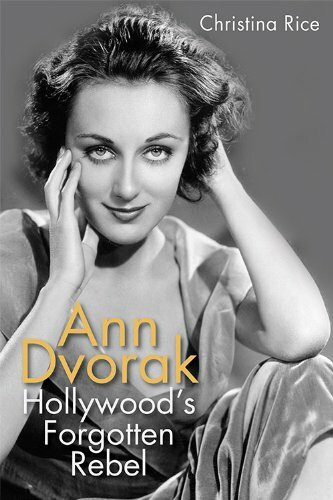 Reminder – Tomorrow is the Inaugural Ann Dvorak Book Talk! Just a reminder to those of you in the Los Angeles area that tomorrow I will be presenting my first ever lecture on Ann Dvorak! The event is being sponsored by the Los Angeles Visionaries Association (LAVA) and is FREE. On top of all that, the legendary Hollywood bookstore Larry Edmunds will be sponsoring the book sale where you can get your personally inscribed copy of Ann Dvorak: Hollywood’s Forgotten Rebel. I am nervous as all get out about this, so I would love to see some friendly faces. Full details are here.